Can we contact your previous veterinarian for your pet's records? We would like to make your animal’s visit as stress-free as possible. Can you please let us know if your animal has any preferences? Please provide any pertinent history that we should be aware of prior to seeing your animal. How did you find out about CoastView Veterinary Hospital? 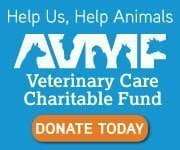 Does your animal have any chronic or ongoing issues that we should be aware of prior to the exam? We appreciate you taking the time to fill out our general questions. We will likely have more questions upon your arrival. We strive to create a minimal stress environment for you and your animal. We ask that you help us create a friendly and motivated environment by withholding food the morning of the appointment. Please don't be offended, but we will actually ignore your animal for the first few minutes of the exam process - just to minimize their stress. We will do our best to help you and your pet have a good experience in our care. If we are having difficulty with the exam, we will generally offer you options to decide if we will continue or reschedule at a later date to minimize stress. We know this may be a different than other experiences you may have had, but we hope you will find this care to be better for you and your animals overall health. We know you have many options in choosing care for your family and we appreciate having the opportunity to work with you.